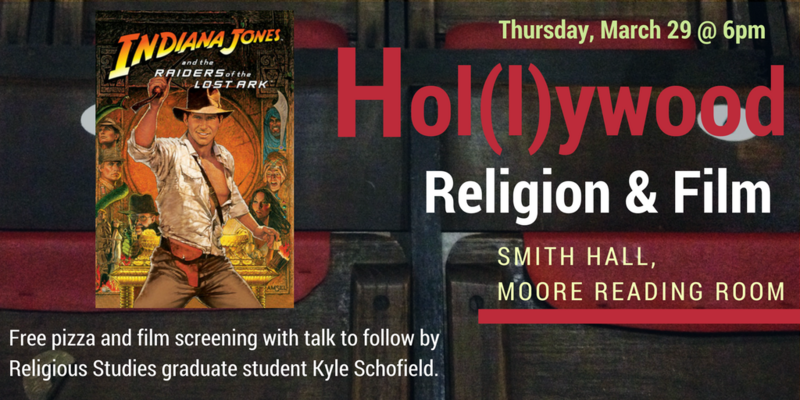 Join the Department of Religious Studies for two Hol(l)ywood Religion & Film series events in March! 3/8 : “Syriana”, a film about the complex network of interests surrounding the oil industry in the Middle East. 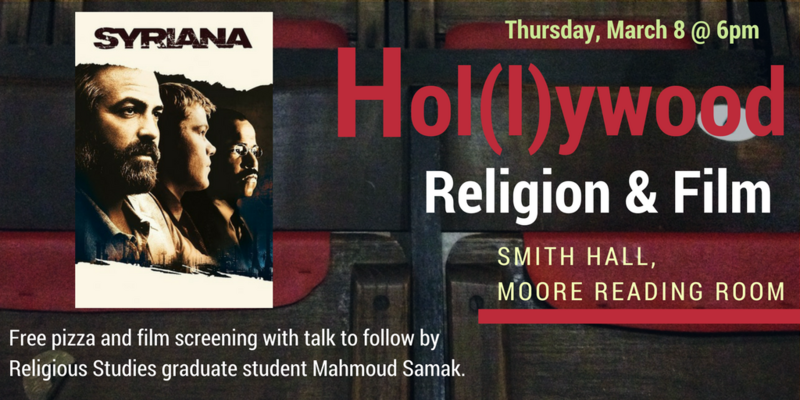 The film will be followed by "The Concept of Jihad in Islam", a talk led by Religious Studies graduate student Mahmoud Samak. 3/29: “Indiana Jones and the Raiders of the Lost Ark”, a film about an American archaeologists' quest to find the Ark of the Covenant before it falls into Nazi hands. The film will be followed by "Digging for the Truth: Biblical Archaeology in Film", a talk led by Religious Studies graduate student Kyle Schofield. 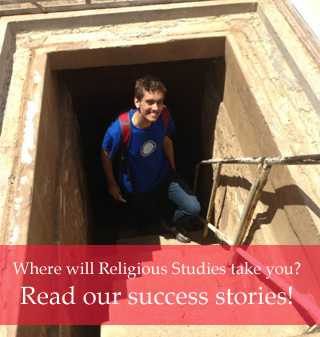 Both are at 6pm in the Moore Reading Room, with free pizza for attendees.